COMMUNITY TALKS TRAVELLING ROAD SHOW 2019! We’re hitting the road in 2019 and coming to a community near you! We are bringing a one day educational mini-summit to communities around the province. 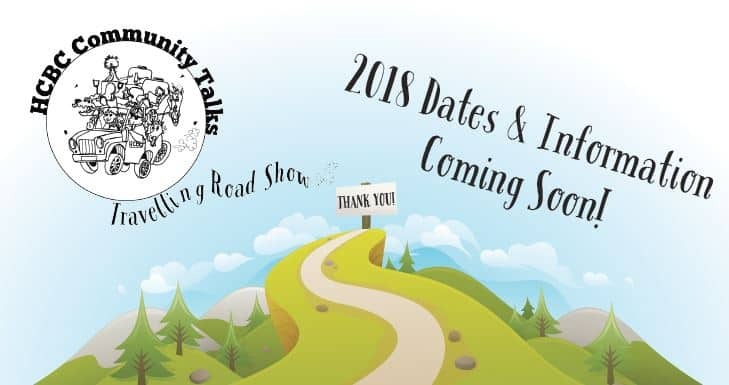 Plans are coming together for the 2019 Community Talks Traveling Road Show! 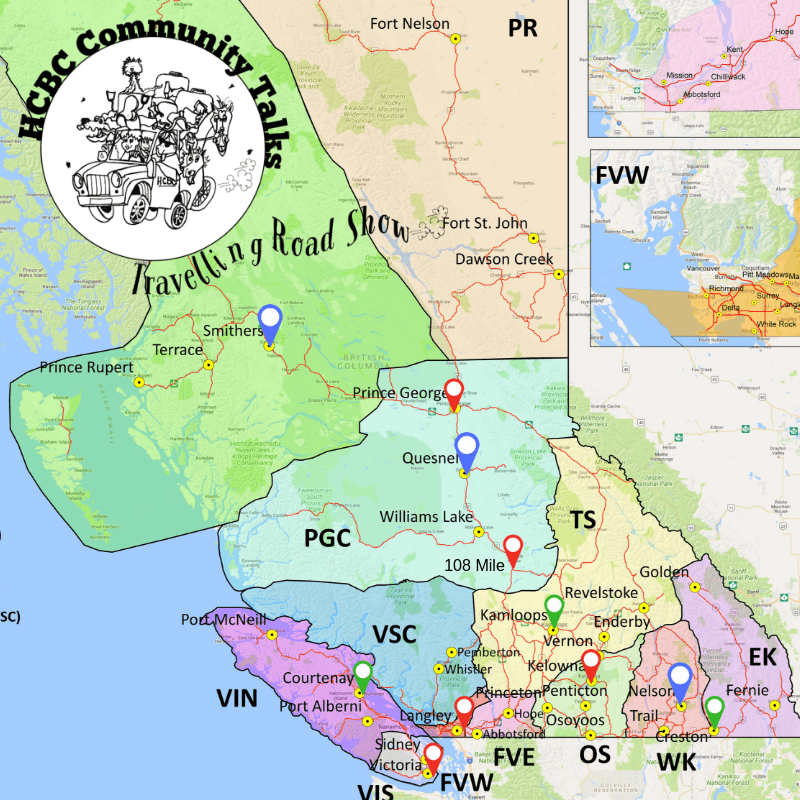 Locations for the 2019 stops of the Community Talks Traveling Road Show are confirmed! Get ready for a day of equine education presented by top industry professionals. Keep checking back, for announcements on speakers, venue locations and dates! The green pins represent the 2017 stops and the red pins indicate everywhere we went in 2018, blue is where we are going in 2019!